This is such a lovely, vibrantly coloured salad, and can be prepared in minutes. To enjoy it at its best, use the most flavoursome tomatoes you can get your hands on and also use a perfectly ripe avocado. I went all out with this one and used buffalo mozarella, but any good mozzarella in its natural water will do. 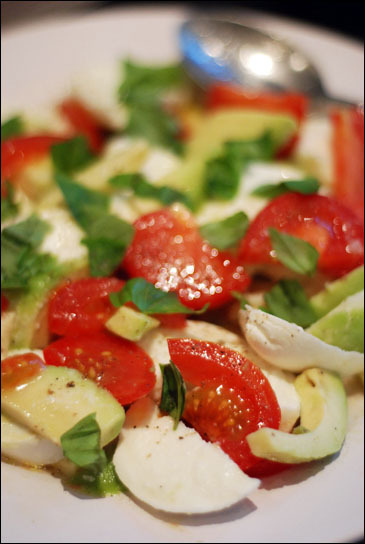 Slice the tomatoes, avocado and mozarella and arrange on a plate. Season with salt and pepper then drizzle the olive oil and lemon juice evenly across the salad. Sprinkle with torn shreds of basil and serve.